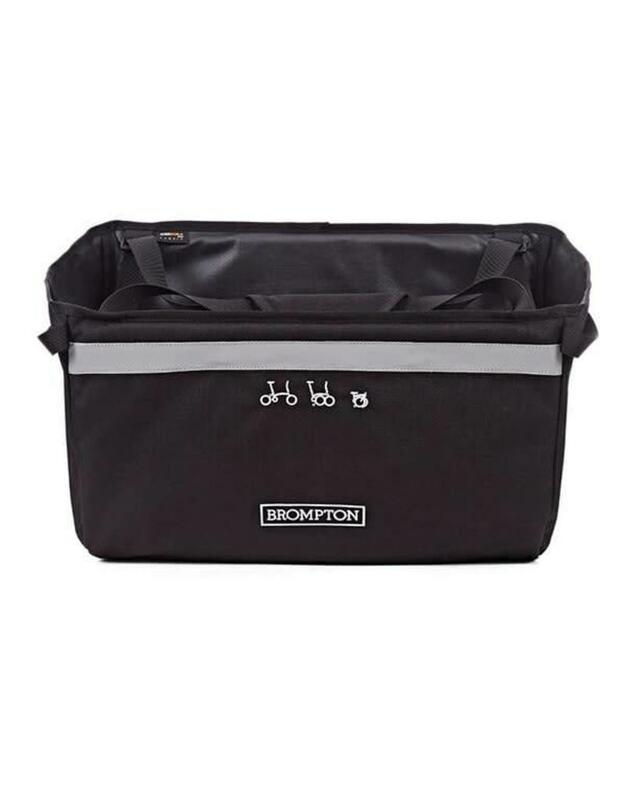 Brompton Folding Basket Black (includes frame and brace) - J.C. Lind Bike Co. 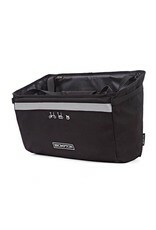 This basket has an open top, no zippers, no velcro, no buckles. 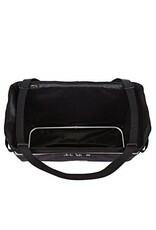 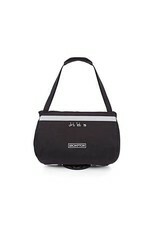 It's designed to be easier to both reach in and get what you need and also to put in new items, such as when shopping. 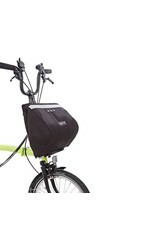 It has a rigid frame that holds its shape on and off the bike so it doesn't collapse when you start to pile items in. 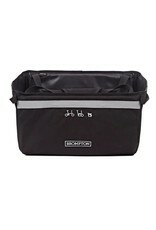 It has a 20 Liter capacity and measures 15.75" wide x 11.8" high x 7.9" deep. 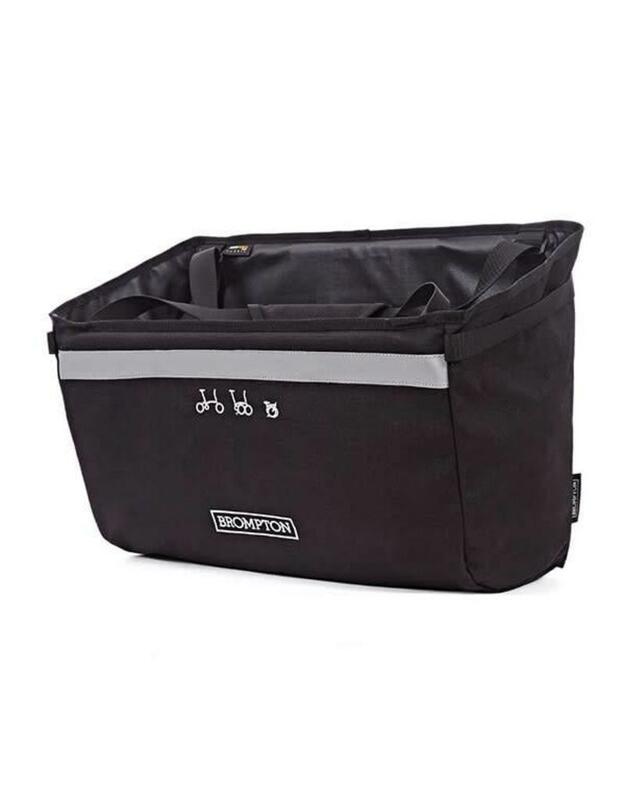 The front of the basket has reflective tape on it, and it's hinged to fold up slightly smaller for easier storage off the bike. 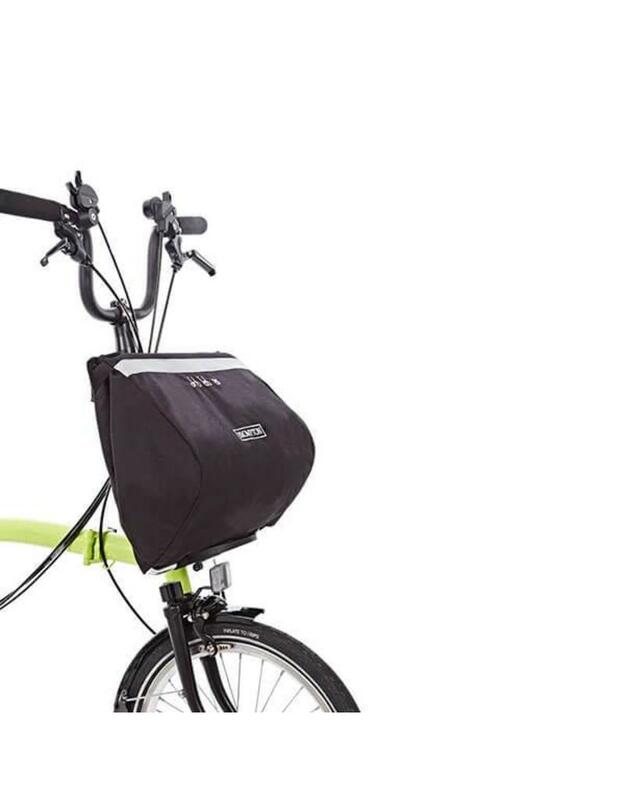 If carrying the basket off the bike, it includes a pair of straps which can be adjusted for carrying on the shoulder or in hand. 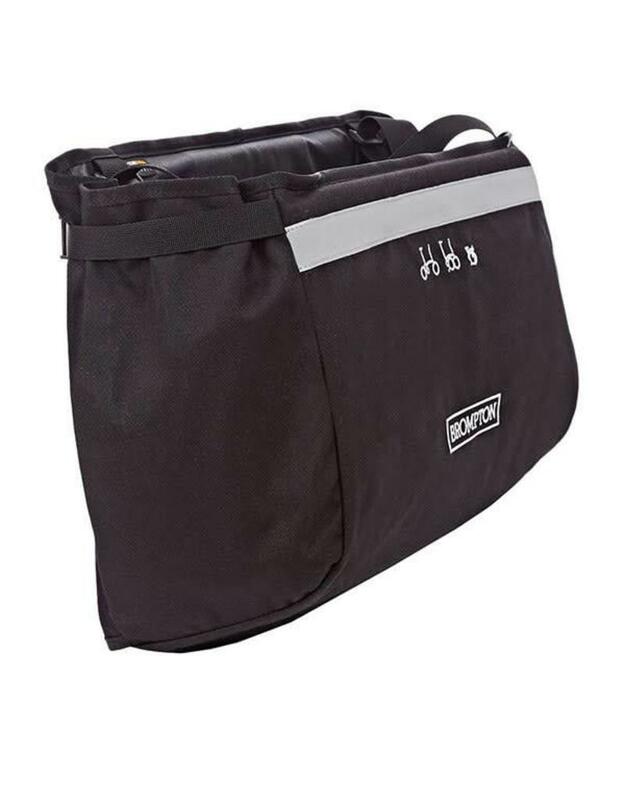 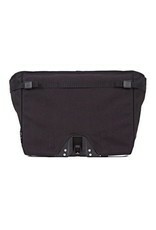 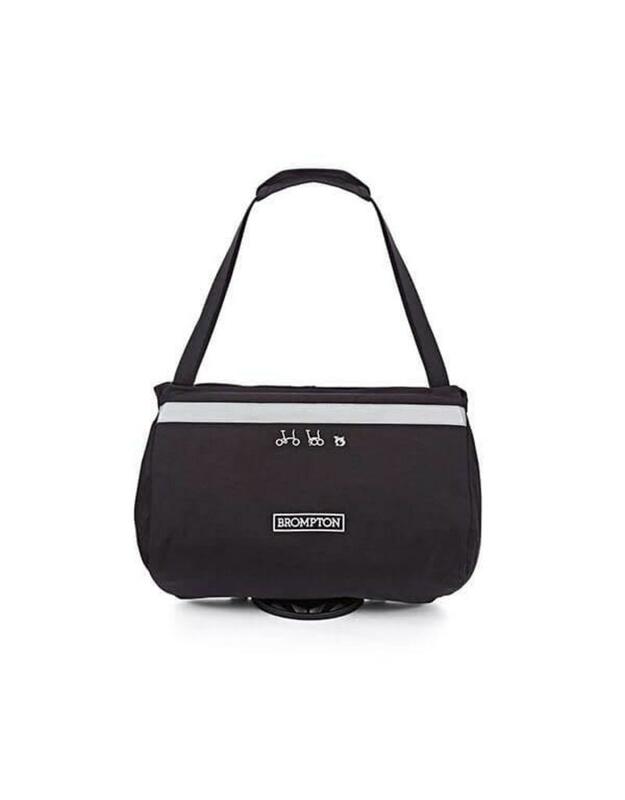 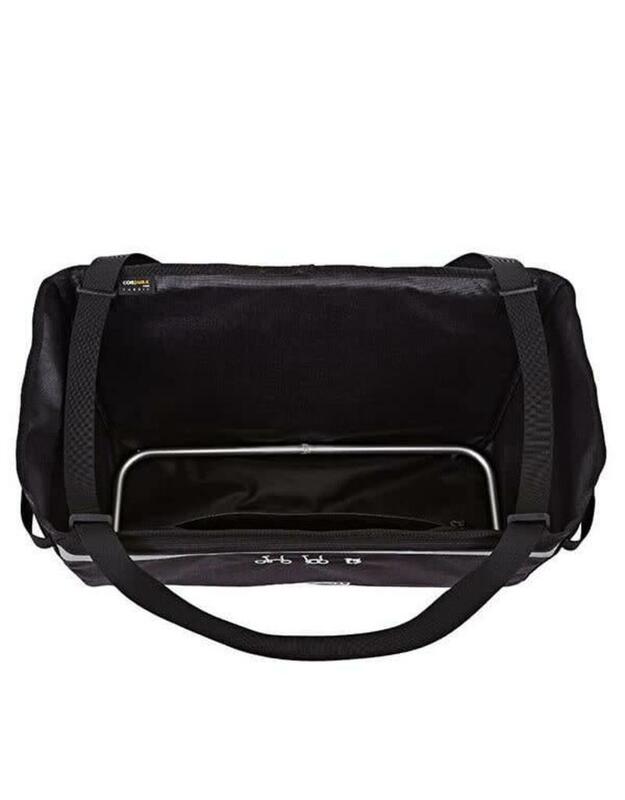 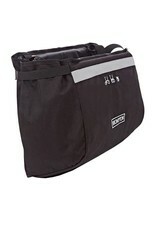 This bag is compatible with all the Brompton handlebar options.